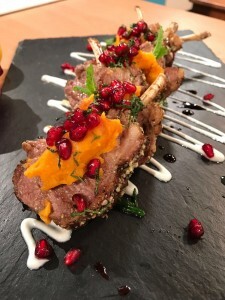 Chef Aly | What’s Cooking on All Round to Mrs. Brown’s this week? 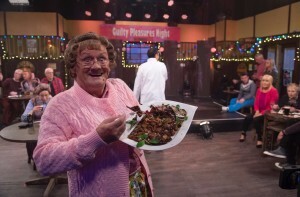 What’s Cooking on All Round to Mrs. Brown’s this week? All Round to Mrs. Brown’s returns for more anarchic Saturday night entertainment, with a host of guests including choirmaster Gareth Malone and his mammy, who Chef Aly cooks up a very special treat for! 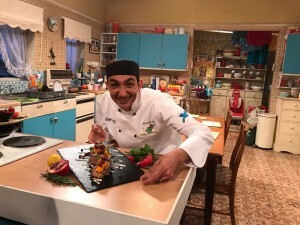 Agnes’ favourite Chef Aly cooks up more favourites for our guests to try, including lamb with a North African twist and a decadent chocolate fondant.